John began military service in 1914 John was born 1884 in Newton Poppleford East Devon. He married Mary Ann Yates in 1908. Mary's brothers had emigrated to Canada and John & Mary decided to follow them to find work. Their first children Iris & Arnold were both born there. 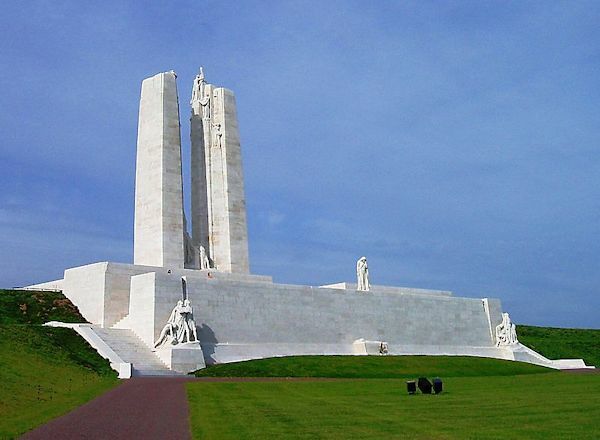 At the outbreak of WW1 he enlisted in the Canadian Army. He was a private in the 77th Battalion, tranferring to the 50th Battalion and sent to England to join the troops in Europe. He sailed with the Unit from Halifax, Nova Scotia on the SS Missanbie on 19th June 1916 arriving in England on 28 June 1916. Mary Ann and the two children returned to England the same year. In Feb. 1917 John was sent to Belguim and fought in the Battle of Ypres where he was wounded, he rejoined his unit on 5th May 1917. He was killed in action on 7th May 1917.